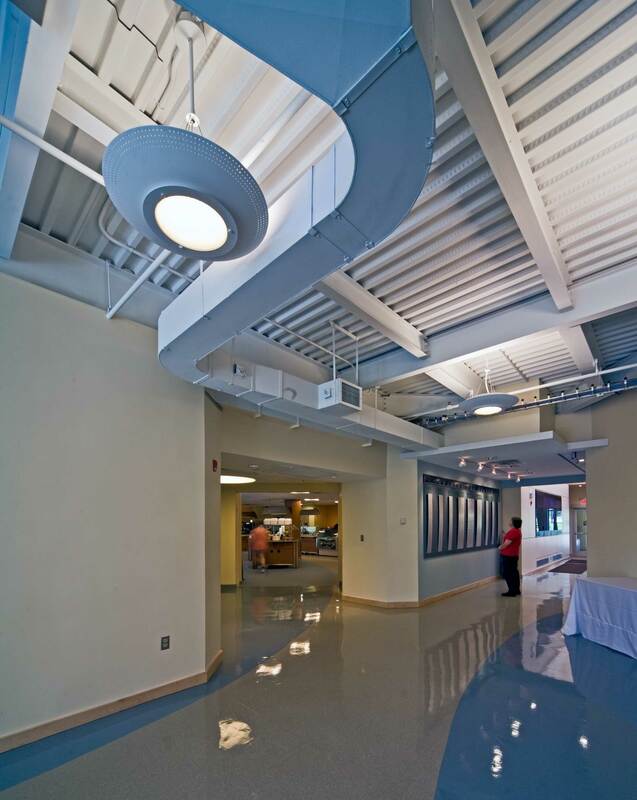 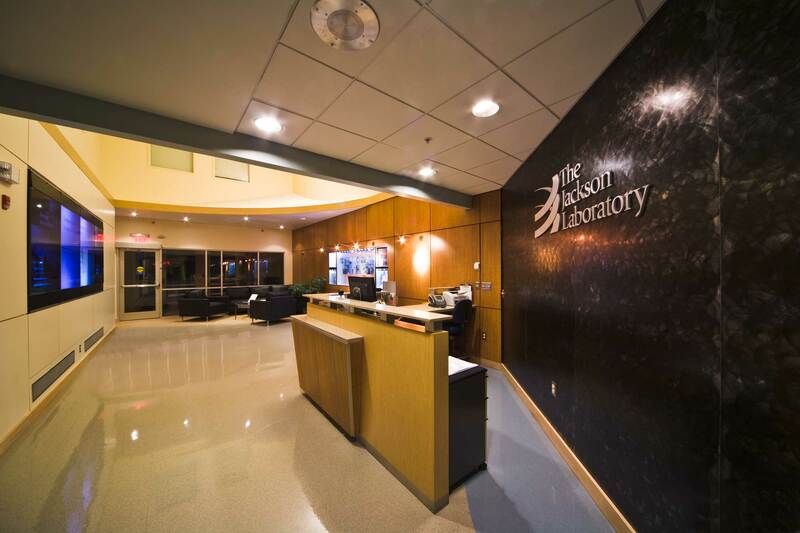 The Jackson Laboratory - Dining Commons and Wellness Center | Allied Engineering, Inc.
AEI was the prime consultant for this new Dining Commons facility at the Jackson Laboratory in Bar Harbor, Maine. 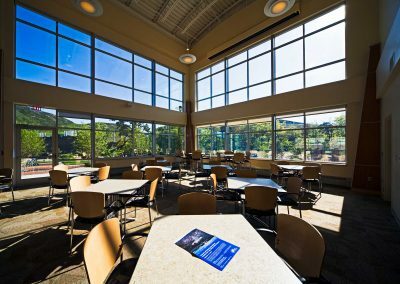 The facility comprises approximately 10,000 sf and includes a state-of-the-art servery, common dining suite, and several executive dining areas. 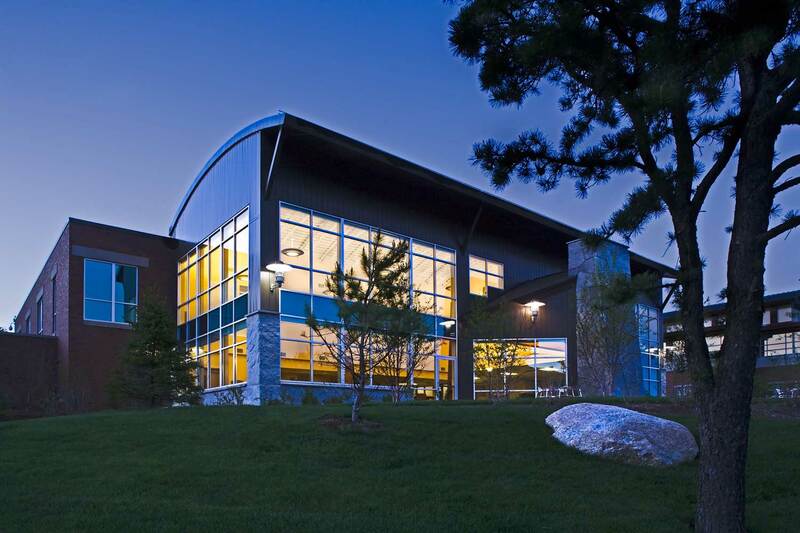 This facility is operated by an independent vendor, and is designed to serve the entire campus of 1200 employees. 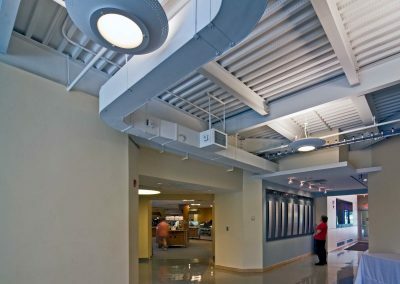 Additionally, the new facility incorporates a secure reception area with grand entry, to serve as the main visitor’s entrance for the campus. 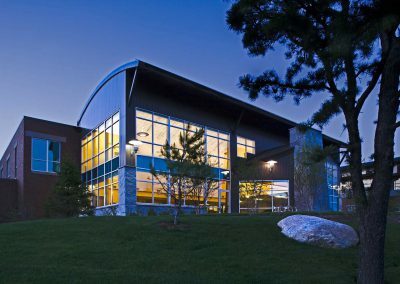 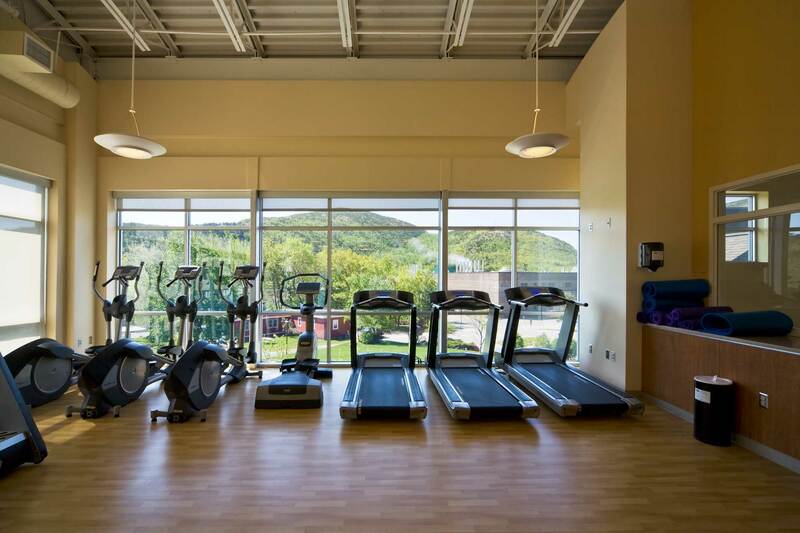 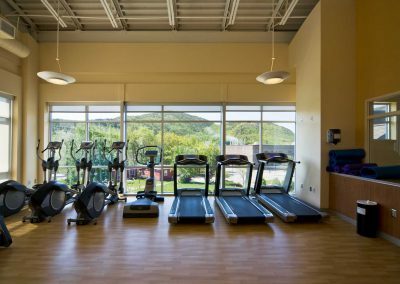 The second floor serves as the campus Wellness Center with offices and a full health club, providing views into the dining space below and out to the Precipice Cliff Mountains in Acadia National Park.